Reiki is a gentle, yet powerful, hands on healing technique through a special “attunement” process. This creates an open channel for universal life energy to flow through the Reiki healer to the receiver. 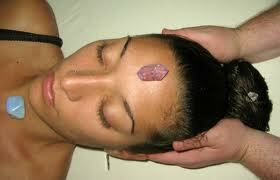 Reiki helps to harmonize body, mind and spirit. “Ki is the non-physical energy that brings life to all living things. We are alive because life force is flowing through us. Life force flows within the physical body through pathways called chakras, meridians and nadis. It also flows around us in a field of energy called the aura. Life force nourishes the organs and cells of the body, supporting them in their vital functions. When this flow of life force is disrupted, it causes diminished function in one or more of the organs and tissues of the physical body. Reiki heals by flowing through the affected parts of the energy field and charging them with positive energy. It raises the vibratory level of the energy field in and around the physical body where the negative thoughts and feelings are attached. This causes the negative energy to break apart and fall away. In so doing, Reiki clears, straightens and heals the energy pathways, thus allowing the life force to flow in a healthy and natural way. Reiki supports and accelerates the body’s own natural ability to heal itself, helping to alleviate pain and relieve other symptoms while cleansing the body of poisons and toxins. Reiki balances and harmonizes the whole energy body, promoting a sense of wholeness, as state of positive wellness and an overall feeling of well-being. It also works with a person’s physical consciousness, or body wisdom, to help them develop a greater awareness of the body’s real needs, for example the right nutrition, exercise and sleep pattern. Reiki flows into all levels of a person’s thinking processes, allowing them to let go of negative thoughts, concepts and attitudes, and to replace them with positivity, peace and serenity. This leads to a state of deep relaxation, with the consequent release of stress and tension. Reiki works with the energy field, especially the brow chakra (third eye) to enhance intuitive abilities, and it also works with all levels of a person’s consciousness to encourage them to pursue their personal potential through greater insight and self-awareness. Reiki flows into all levels of a person’s emotional energy—those of which they are aware, and those they keep hidden—to encourage them to examine their emotional responses to people and situations, allowing them to let go of negative emotions such as anger or jealousy, and promoting the qualities of living, caring, sharing, trusting and good will. It can also help people to channel emotional energy into creativity. 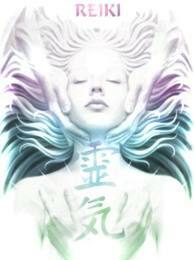 Reiki flows into a person’s whole energy body, soul and spirit, to help them to accept and love their whole self. It fosters a non-judgmental approach to humankind, allowing them to accept every person as a soul energy on its own spiritual path, not just as a human being with all the attendant failings and frailties. It promotes the qualities of love, compassion, understanding and acceptance, and encourages a person on their personal path towards spiritual development and connectedness with the Divine. Reiki is a technique for stress reduction and relaxation that allows everyone to tap into an unlimited supply of “life force energy” to improve health and enhance the quality of life. Reiki promotes from within qualities of loving, caring, growing, compassion, trusting, goodwill, peace & serenity. Reiki strengthens the immune system. Reiki reduces anxiety. Clears the body of toxins thus encouraging natural cleansing. Can reduce/relieve pain, especially chronic pain, by bringing your body to balance. It also increases creativity. Reiki changes & heals every area of life that needs healing. Reiki treats the whole body, mind, spirit and emotions at once. It also assists in manifesting goals and desires. Many people feel a wonderful sense of peace beyond explanation. Others may experience a permanent increase of “awareness”. There are no guarantees in Reiki but many believe it has healed their cancer, anxiety disorder, depression, asthma, broken bones, high blood pressure, tendonitis, and fibromyalgia, migraines, as well as their overall well-being. Each of us bears the true responsibility of our own healing. We each must be willing to learn from the challenges before us, and may need to change habits, thoughts and most importantly...our beliefs. Reiki comes from the heart and is given through the heart. Those who begin to work with Reiki, whether as a “giver” or “receiver”, will often find themselves filled with feelings of tremendous love. While Reiki is spiritual in nature, it is not a religion. It beholds no doctrines, creeds or contradictions to the Universal laws of Consciousness and love. Reiki is not dependent on belief at all and will work whether you believe in it or not. Because Reiki comes from God, many people find that using Reiki puts them more in touch with the experience of their religion rather than having only an intellectual concept of it. HOW IS A REIKI SESSION DONE? While you are fully clothed & relaxed on a comfortable bodywork table. There will be soft music playing in the background and people go into a light meditative state. Some people get very relaxed & fall asleep. I use a pendulum over the chakras to discern the state of the chakras. I will the use a tuning fork over the chakras to help open the chakras. I then use a precise pattern of hand placement down the complete body, head, arms and legs and over the chakras. The energy flows wherever it is required (spiritually guided) and can normally be felt as a warm sensation or tingling in the body. This is a form of “hands-on” healing that is non-invasive & gentle. 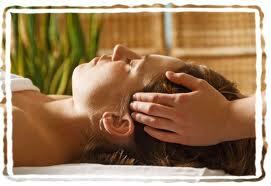 Receiving Reiki is a very relaxing and soothing experience. The treatment lasts approximately 60 minutes. Most often the practitioner will do three sessions as close together as possible within a week’s period facilitating a greater impact on the healing and then proceed with a Reiki treatment once a week or twice a month if there are major imbalances; the choice is up to the client. You will start to release old stuck energy blocks and see what the lessons involved were. The old issues will come up for review to be released, thus leaving you with a feeling of peace. You will start to forgive yourself and others for past hurts. The more you release these old patterns it allows you to stay in the present moment. Then you will see that even when life’s trials, dramas, bad days and lessons come up, life starts to be more enjoyable again and it will be easier for you to move through the problems and just let them go bringing you greater happiness and peace. Please observe that Reiki should never be used instead of medical treatment. First and foremost I am not a physician. It should be used as a compliment and a way to become and remain healthy. Using Reiki along with other forms of healing, such as Chiropractic, Massage, Acupuncture, Homeopathy, meditation and/ or quality Medical care can keep us in excellent health as well as maintaining a life filled with joy, love and a strong sense of well-being. What one experiences during a Reiki treatment varies somewhat from person to person. However, feelings of deep relaxation are usually felt by all. In addition, many feel a wonderful glowing radiance that flows through and surrounds them. As the Reiki energy encourages one to let go of all tension, anxiety, fear or other negative feelings a state of peace and well-being is experienced. Some drift off to sleep or have a tremendous amount of emotional release. Each person will experience their session in their own unique way. At the end of the treatment, one feels refreshed with a more positive, balanced outlook.